"Which of you is the bigger liar?" Picturehouse UK has unveiled a trailer for the French domestic drama titled Custody, which won Best Director at last year's Venice Film Festival. Written & directed by Xavier Legrand, the film is about a bitter custody battle over an embattled son in the middle of a broken marriage. Custody stars Denis Ménochet, Léa Drucker, Thomas Gioria, Mathilde Auneveux, and Florence Janas. The film received rave reviews out of Venice, described as a "steady crescendo of suspense" by The Film Stage, and "a scintillating separation drama" by the BFI. This trailer promises an impressive, powerful film that shows just how manipulative and destructive custody battles can be, especially on the child(ren). With this and Zvyagintsev's Loveless, some of the best new films are about feuding parents and their kids. 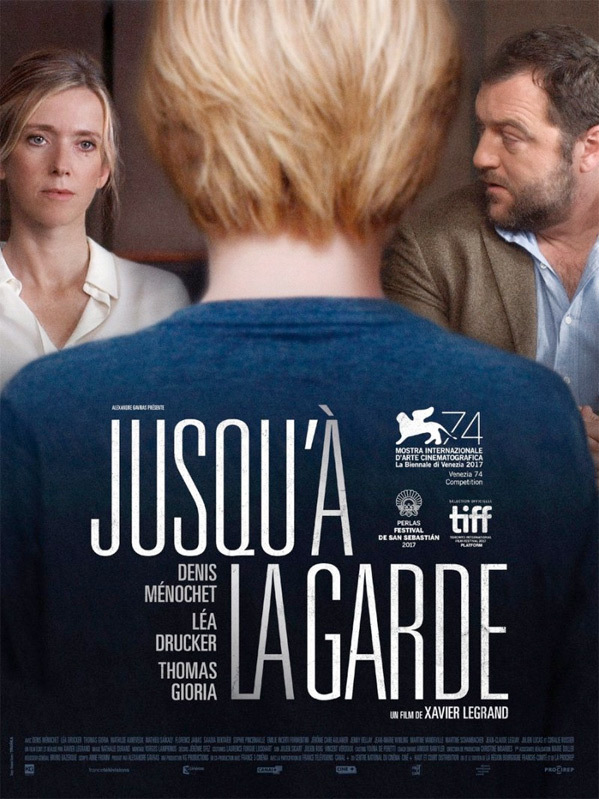 After a bitter divorce, Miriam (Léa Drucker) and Antoine (Denis Ménochet) battle for sole custody of their son, Julien (Thomas Gioria). Miriam claims the father is violent but lacks proof. Antoine accuses her of manipulating their son for her own ends. Both sides seem to be hiding something; the truth is buried in deceit and jealousy. When the judge awards joint custody, Julien becomes a pawn in a tense conflict that soon brings the family’s fraught past to light. Custody is both written and directed by French filmmaker Xavier Legrand, making his directorial debut after a short film and acting work. This first premiered at the Venice Film Festival last year, where it won Best Director. The film opened in Italy last year, and opens in the UK starting April 13th this spring. No US release date has been set yet. Stay tuned. Who's intrigued?